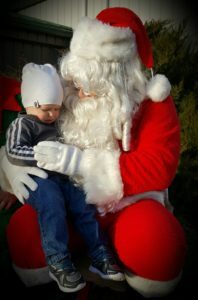 Perfect weather and plenty of fun events for all ages drew well over 400 people to the community center on Wednesday, November 28, as Arnold Chamber hosted its annual Christmas Around Town. 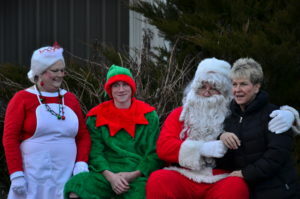 Sitting in a sleigh in front of the community center, Santa, Mrs. Claus and an elf greeted the kids. An estimated 160 children sat on Santa’s lap to tell him their Christmas wishes, and received a bag of treats. 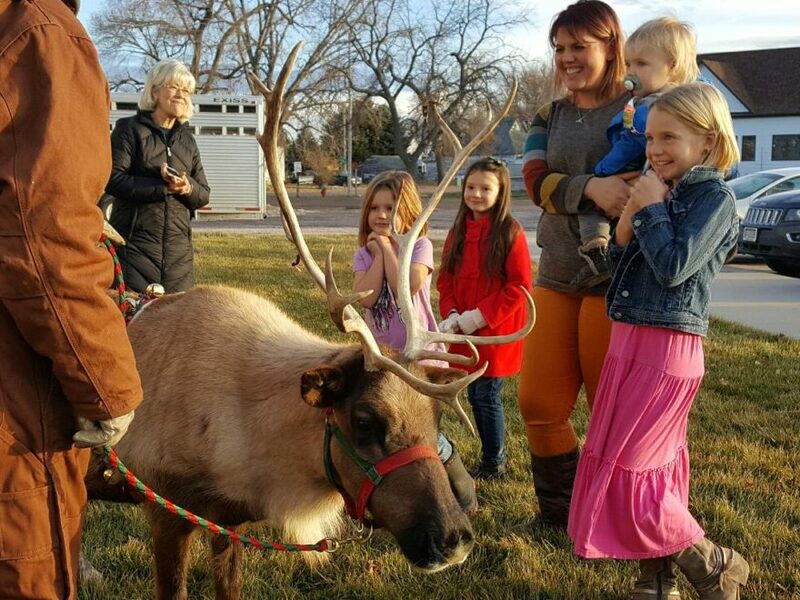 Nearby, “Santa’s reindeer,” brought to town by Stable Productions, drew more kids and their families for the rare chance to see these animals that live in the North Pole and other cold, northern regions on the planet. Arriving at about 3:00 in the afternoon, “Flip” Licking and two other handlers pulled their trailer into town, and first thing, calmed the reindeer down by leading them around the business district. It was a great surprise for business owners and their customers to glance out their windows and see these unique animals pass by. Back at the community center, “Hot Lips,” “April,” and “Hula”, stood still and allowed everyone to pet them. One of the reindeer was only 8-months-old and it was his first time at an event. Arnold resident Debbie Connelly, who had the chance to see the reindeer at another community one Christmas, organized the reindeer visit and contacted potential sponsors. “Flip was amazed how many people turned out for a town this size. He said everyone was very respectful of the reindeer, which is not always the case. He wants to come back,” said Debbie. Sponsors bringing the reindeer to town were: Pinnacle Bank, Coleman Storage & Rentals, 1st State Insurance, Mills Hardware and LarreauConstruction, Inc.
Another activity that provided fun for everyone were hayrack rides provided by Rich and Jane Hornung of Crossroads Ranch. The hayrack, drawn by horses Ben and Stan – a Black Percheron and Paint Percheron – made 11 rounds in three hours, clip-clopping through the decorated downtown area and around. Inside the community center, around 400 people enjoyed a free pasta bar provided by Chamber in appreciation for doing business in Arnold throughout the year. 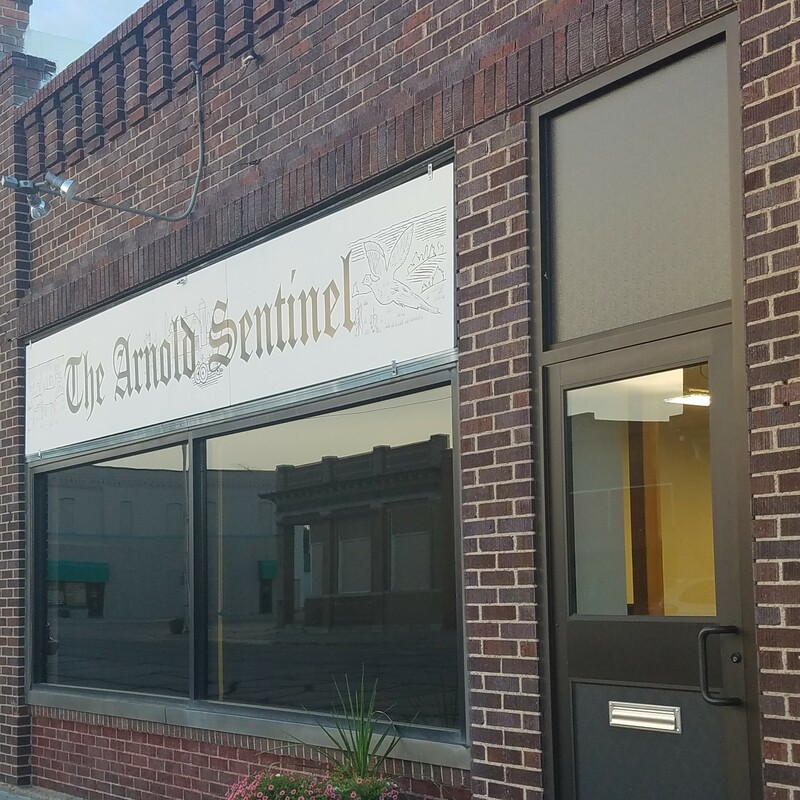 For more stories and other local news Subscribe to The Arnold Sentinel. Material published on ARNOLDSENTINEL.COM, including articles, photos and other content, is copyrighted by The Arnold Sentinel.